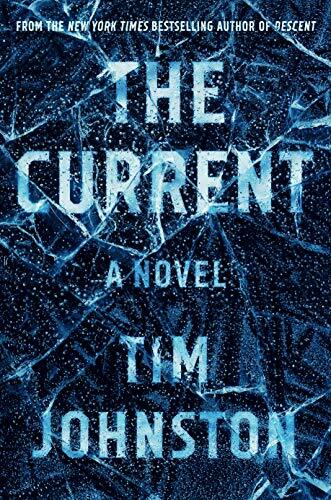 It's doubtful you'll ever read a more beautifully written book than The Current. Reviewers have showered it with superlatives—exquisite, astonishing, exceptional, remarkable, amazing. It's all that, and so much more. It's a book about abiding love—marital love, parental love, sibling love, childhood love, the affectionate love of lovers no longer united, and the heartfelt love for the animal members of the family. It's not a fast read nor do you want it to be. Take your time with this one. It's a book of intelligent prose populated by characters with heart. Not all of them are perfect, but then who is? There's a lot of pain in this book as well as unrelenting guilt, so be prepared for that, but the visuals prompted by the narrative make it bearable. Not a word is wasted, not a word is out of place. The story introduces Audrey and Caroline, two college girls who become roommates then find they can barely stand each other. Ironically, after they put in for a room reassignment, they become friends. "The one talking has got his hand on Audrey's face, and Caroline registers in the first glance how dark the fingers look against her friends pale face, as if they've been dipped in paint, or oil . . . Audrey's hair is a dark mess, tossed by some roughness, and the man has got a knee between her legs . . . The door to the ladies' hangs open, gapped, does not shut on its own, she knows, nor lock convincingly from the inside . . .
"The one nearest to Caroline, the one standing back and watching, just has time to lock his eyes on what she's holding up to him before the canister hisses its load into his face and he screams and flails backwards, clawing at his eyes . . . Misty discharge clouds the air . . ."
The girls escape in their car, but a storm has moved in icing the roads. They take a curve too fast, the car goes into a spin, and ends up on the precipice of a frozen river. Suddenly headlights appear behind, and all it takes is a tap on the rear bumper to send them over the edge. "The great pop is followed by silence . . . the ice pops again and the car shudders, it lists, and the girls let go of each other's hand . . . and the ice is shattering, it's exploding beneath them like gunshots, and the car is on the move once again . . . slipping down beneath the plane of the ice as they struggle with the latches on the doors . . ."
The car sinks underneath the ice with the girls inside. Audrey lives. Caroline doesn't. This is also a story of unresolved grief. It's not a mystery in the traditional sense, but the suspense is deep and heavy. You may even figure out the whodunit part, but you'll keep reading anyway for the sheer pleasure of it, and for the living breathing characters with heart who take care of those they love. "It was just gray dawn when his crying woke her, and whatever she'd been dreaming fled from her like the warmth of the bed as she drew back the covers, as she sat up and pulled the robe around her . . . and in the dark there was the weak thump of tail as she bent to collect him from the nest of blankets and old stuffed toys at the foot of the bed, the dog like an old stuffed thing himself with all the stuffing dragged out, all the living heaviness gone from him now, hardly more to this creature in her arms than the sack of skin and brittle bones it held . . . she set him on his feet by the door . . ."
This is a book you'll want to keep on your shelf after you've read it. Even if you don't think you'll ever read it again, you'll want to keep it close to you because of the absolute giddy pleasure you felt reading it the first time. Tim Johnston has given us the gold standard of lush narrative description—captivating, mesmerizing, stunning. No wonder this book has sold millions. High quality writing such as this is a talent not learned in a class or from a book. It comes unbidden from somewhere deep inside the author's brain, or heart, or gut, or soul. Kudos, Tim Johnston. We'll look forward to more of the same. Much more.